Swami Ramdevji Maharaj is first, in the world health history, to use freely available Pran (Oxygen) as a medicine and in turn remains successful in treating thousands of grief stricken persons suffering from lethal diseases like Diabetes, H.B.P., Angina, Blockages in Arteries, Obesity, Asthma, Bronchitis, Leucoderma, Depression, Parkinson, Insomnia, - Migraine, Thyroid, Arthritis, Cervical Spondalities,Hepatitis, Chronic Renal Failure, Cancer, Cirrhosis of Liver, Gas, Constipation, Acidity etc. which are still a challenge in modern medical science. Swami Ramdev advises Pranayama Package [combination of Seven Pranayama Seven Asana, Seven Mudra, Seven Suksham Vayaam (light exercises), Acupressure and (in certain caes) Divya Medicines] for vibrant, healthy and holistic life. Pranayama was there in Text Books for long time but, the common man had not access to it because the techniques for practicing them were very complex and words of caution were attached to such instructions, as “any deviation from the practicing technique would cause immense harm to a person”. Swami ji has done a tremendous job in breaking this concept of fear in common people about the harm caused by Pranayama. He has devised simple techniques for practicing the Pranayama which are very easily picked up by any common man just by watching the T.V. Pranayama is the breathing technique of yoga that works wonders in increasing physical and psychological performance. Swami Ramdev has evolved the sequence in performing seven pranayama - Bhastrika Pranayam, Kapal Bhati Pranayam, Bahaya Pranayam, Anulom Vilom Pranayam, Bharamari Pranayam and Pranav Pranayam for living a vibrant and healthy life. An asana is a pose or posture used in the practice of yoga. Asanas serve as stable postures for prolonged meditation. There are thousands of asanas in the incredibly varied discipline of yoga, with around 100 in active use by yogis all over the world. 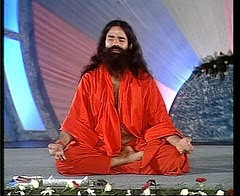 Swami Ramdev has advocated seven Aasans to be performed with Pranayama for maximum benefit. Suksham Vayaam maintain s the flexibility and strength of different parts of the body through exercise, and blood circulation is increased and the nerves are ensured their supply of nutrients and oxygen. These light exercises done between pranayama also maintain continuity. Acupressure is an ancient Chinese technique based on the principles of acupuncture, and involves the use of finger pressure (without the needles) on specific points along the body. Acupressure massage therapy stimulates and activates the body’s own energies to help fight illness and restore harmony. Some of the most common acupressure technique are Rubbing, Kneading, Percussion and Vibration. Swami Ramdev's Divya Medicines are 100% natural, made from potent herbs of the himalayas. 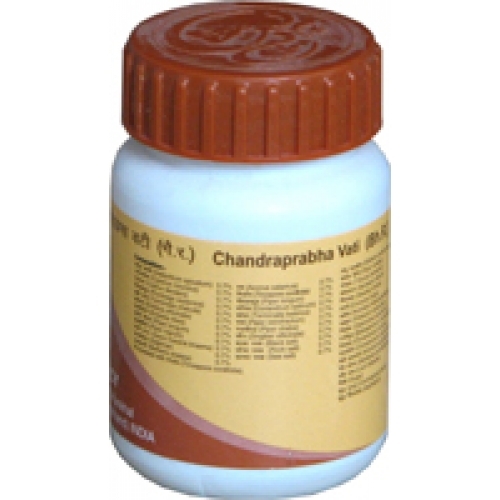 They have proven extremely effective for combating all forms of sickness and disease. He recommends Divya Medicines only in special cases, and for speedy recovery which will strengthen the immune system and quicken the healing process..